Trendhouse Youth Lifestyle | mode...information s.a.s. 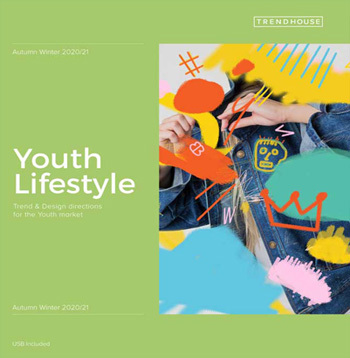 The Trendhouse team has conducted in- depth consumer, cultural, design and colour research to inform directions across the growing youth oriented markets for autumn winter 2020/2021. The five themes - Duality, Lucid Dreamer, Reconnection, Positech and Volatile Nature - explore the many different aspects of young people's complex needs and desires. There are common themes across the five trends, which demonstrate core values for young people across the globe in 2020 and beyond. 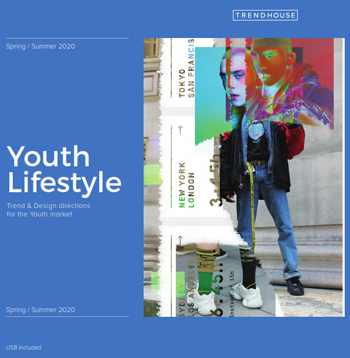 In the Trendhouse ‘Youth’ book, design and lifestyle aspiration is seen through the eyes of Gen Z’s themselves rather than imposed from above. It’s a guide and inspiration for designers and marketers seeking a design strategy that is truly relevant to this highly independent, powerful and influential generation. Synopsis: introducing the theme and highlighting the reason why this story is important to designers and marketers. Influences: lifestyle trends and news pieces that support and inspire our story. 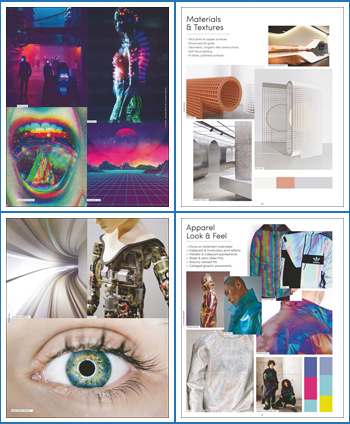 Look & feel: images to set the visual tone and design foundation of the look. 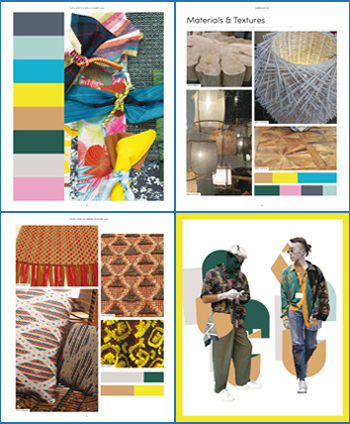 Colour & colour combinations: the core palettes for each story. Colour combinations are then featured within the product categories that follow. Materials & textures: the look and feel of textiles and base materials around which to build your story. Details & trims: all the final touches with which to not only complete but also bring added value to the look. Graphic directions: everything from prints and typographies to packaging and graphics. The looks: our overview of how our design philosophies can be built through into fashion looks. Product development: taking our concepts into stationary, tech, beauty, interiors and spaces that will appeal to the current Youth market. In our USB stick, we provide you with files broken done into the various stories with their individual images for use in developing your own work methods. There is also a complete digital edition of the product. Carefully selected colours are positioned throughout the book. These are dyed especially for the publication and additional work samples included. All colours have been matched to the best of our ability with the Pantone Fashion & Home colour system for ease of communication.